Of the many famous men who have been freemasons, 1st Earl Kitchener of Khartoum and Broome may be considered to have been the most active to patronise our Society. In a quite remarkable and extraordinary life, his onerous military commitment to his Country was intertwined with the Masonic duties he pursued on behalf of our fraternity. He belonged to no fewer than fifteen Lodges and Chapters whilst serving as District Grand Master of Egypt and Sudan and of the Punjab in India. He was simultaneously Commander-in-Chief of the Egyptian Army and later of the forces in India, culminating in his appointment as Secretary of War before his untimely death in 1916. At the time he was holding active Masonic office. Kitchener has been immortalised in the First World War recruitment poster ‘Your Country Needs You’. His striking portrait wearing Field Marshal’s uniform, finger pointed, is an image familiar to us all. Horatio Herbert Kitchener was born on 24 June 1850 near Ballylongford, Kerry, Ireland. His father had enjoyed a successful military career and Kitchener decided at a young age to follow in his footsteps. Following on his two-year education at the Royal Military Academy in Brussels and on an impulse of enthusiasm, he enlisted in the French Army in 1870 where he saw action under the Tricolour flag for the best part of a year. In 1871, back home he joined the Royal Engineers and three years later applied for a position in Palestine where he was involved in the survey of uncharted land. On his move to Egypt in 1882, after a four-year stint in Cyprus, he began to make a name for himself. Egypt at this time was under the power of the Ottoman Empire and incorporated a section of Northern Sudan. Kitchener’s brief was to train the native people whilst establishing an essential rail network with the impending nationalist revolt led by the Mahdi, Muhammad ibn Abdalla, very much in mind. By this time Freemasonry was well established in the area. It had been brought into Egypt in 1798 by Napoleon’s conquering armies and quickly spread through the region. From the start high-ranking French Officers were active members, encouraged by Napoleon himself. They introduced eminent and respected native soldiers and politicians that became the breeding ground for Kitchener to become a freemason some 50 years later. The Masonic legacy in Egypt was confused at best. French, Italian, English, Scottish and Irish jurisdictions worked at times together and at times at loggerheads. The formation of the National Grand Lodge of Egypt in 1864, warranted by the Grand Orient of Italy, only gave temporary relief to the confusion. From England’s point of view Egypt, as part of the Ottoman Empire, initially fell under the jurisdiction of the Grand Master of Turkey RW Bro Sir Henry Bulwer. The National Grand Lodge of Egypt was quickly recognised, particularly in the light of the dignitaries who headed the newly formed Grand Lodge. Soon, however, disillusioned with the many unrecognised degrees and orders being practiced by the National Grand Lodge England decided to form, for a second time, it own District Grand Lodge which brought some semblance of order and control. Kitchener was well into his successful military career and aged thirty-three when he was initiated, almost certainly, in the Italian speaking La Concordia Lodge no. 1226 in Cairo in 1883. Some doubt as to the Lodge at which he was initiated has arisen as a result of hand annotations in the records of the listing of Grand Officers in Grand Lodge in England. The annotation states ‘presumed to have been initiated in Star in the East Lodge no. 1355 Egyptian Grand Lodge in 1883 OR if not there in La Concordia no. 1226’. This error may have been brought about by Kitchener’s details in the petitioner’s warrant for the Drury Lane Lodge no. 2127 referred to below. La Concordia Lodge no. 1226, consecrated with a group of other Lodges by the United Grand Lodge of England in 1868, was sadly erased in 1890 and there are no surviving records. His initiation coincided with the increasing unrest in the Sudan. In 1881 Muhammad ibn Abdalla had proclaimed himself the Mahdi, ‘expected one’ and led the religious anti-Ottoman nationalist revolt, which culminated in the fall of Khartoum in 1885. The Mahdi died shortly thereafter, but southern Sudan survived as rebel territory. In 1895 the British government authorized Kitchener to launch a campaign to re-conquer Sudan. It was three years before the Anglo-Egyptian force under the leadership of Lord Kitchener finally overwhelmed the rebels in 1898. Famously, Winston Churchill was present at these battles serving under Kitchener. It is quite extraordinary that during this period of tension and military activity Kitchener found time to develop his Masonic career. It can possibly be explained by the fact that every Lodge he joined and took interest in, comprised of several members of great eminence with whom closer association could only serve well. In 1885 he joined the most senior Lodge in Egypt Bulwer Lodge, no. 1068. In the same year Major General Sir Henry MacLeod Leslie Rundle also became a member. There are a number of questions raised about his membership, in 1886, of the first English Lodge he is associated with. His name, as mentioned above, appears as a petitioner for the Drury Lane Lodge no. 2127, consecrated on 25th January 1886. There is no evidence, however, of his presence in England at this time. His name is clearly not in his own handwriting and the letters N/R (not registered) appear after the entry. The column headed ‘initiated in Lodge No.’ has the entry 1355, the number of the Star of the East Lodge, also not in his writing. This error may have been the source for the confusion in the Grand Officers listing. Kitchener did in fact become a joining member of the Star of the East Chapter, no 1355, in 1892 (which, founded in 1891 was only erased in 1966). His address is given as the Junior United Officers Club. Finally, at a meeting of the Lodge in 1898, Gerald Maxwell WM welcomes Lord Kitchener as ‘The Victor of Omdurman’. Kitchener replies’ It gives me the greatest pleasure to meet the Brethren of the Lodge which is the first one I have joined in England’. All this evidence, in addition to the political unrest in Egypt at the time, point to his participation at the consecration of the Drury Lane Lodge in absentia. A possible explanation for his membership of this Lodge becomes apparent when the list of the founders of the Lodge is read. They include William Henry, Earl of Londesborough, first Worshipful Master, Sir John Eldon Gorst, the Solicitor General, Admiral Sir Edward Inglefield, A M Broadley PDDGM Malta. The Lodge also boasts the initiation of Capt. Robert Falcon Scott (of the Antarctic) who was raised to the Third Degree in 1904 in Christchurch, New Zealand whilst on a voyage with the ‘Discovery’. On 2 September 1898, General Horatio Kitchener led the British and Egyptian troops to victory over Sudanese tribesmen led by Khalifa Abdullah al-Taashi. This was the decisive battle of Omdurman, reoccupying Khartoum and establishing British control over the Sudan. During the five-hour battle, about 11,000 Mahdists died whereas Anglo Egyptian losses amounted to 48 dead and fewer than 400 wounded. A two-year campaign had come to an end and Kitchener had achieved something which had eluded many before him. It is here that he acquired the title of ‘Kitchener of Khartoum’. Meanwhile Kitchener continued with his vigorous Masonic activities, In 1890 he joined the Greek-speaking Hellas Lodge no. 1105, later named Grecia Lodge, and was instrumental in its revival when it began to work in English. In 1892 he served the Lodge as Worshipful Master. It was also at this time that his interest in the Orders beyond the Craft began. His standing as a national hero and his enthusiasm for the Craft ensured his rapid rise through the Masonic ranks in all the orders. In 1895 he was appointed Past District Senior Grand Warden for Egypt & the Sudan and in this capacity he was instrumental in the Foundation of the Fatieh Lodge under the National Grand Lodge of Egypt and was made Honorary Worshipful Master. The Royal Arch has already been mentioned, attaining the MEZ Chair of Star of the East Chapter in 1896. In the same year he was appointed Third Grand Principal of the Grand Chapter Egypt and received the Past rank of Grand Scribe Nehemiah, from the Supreme Grand Chapter of England in 1897, the year of his appointment as a Past Grand Warden of the United Grand Lodge of England. In the Mark degree, he was advanced and became Master of the Nubia Mark Lodge no. 511 in 1898. The Grand Lodge of Mark Master Masons of England also appointed him Grand Junior Warden of the District of North Africa in the same year. To embellish, so to speak, the many Masonic achievements, Kitchener was also made an honorary member of Lodge of Edinburgh, St Mary's Chapel no. 1 Scottish Constitution. In January 1899 an agreement was reached between Britain and Egypt restoring Egyptian rule in Sudan as part of a condominium, namely a joint Anglo-Egyptian administration. In practice, however, Britain was in control, formulating the policies and deciding on the appointment of the senior administrators. In November, Viscount Kitchener of Khartoum was almost simultaneously appointed Governor General of the Sudan and the first Right Worshipful District Grand Master of Egypt & the Sudan. Under the new re-established jurisdiction all previous agreements with local Grand Lodges were cancelled and four new Lodges founded. Three lodges were active in Cairo (Bulwer; Grecia and Star of the East) and one in Alexandria (Zetland). Kitchener ensured his involvement in all three Cairo Lodges, where he resided. On 16 December 1899 the British Cabinet appointing Field-Marshall Lord Roberts as Commander-in-Chief of the British Forces in South Africa and Major-General Lord Kitchener as chief of staff. Roberts happened to be an active freemason. Kitchener left Egypt for good and was replaced as District Grand Master by General Sir Reginald Wingate. On 10th January 1900 Roberts and Kitchener arrived in Cape Town with large troop reinforcements. On 18 February 1900, during Roberts's temporary absence because of illness, Kitchener launched a reckless frontal attack on Boer positions at Paardeberg that resulted in heavy British casualties. On 13 March 1900, Roberts's army occupied Bloemfontein. On 1st September 1900 the British annexation of the Transvaal was announced and Roberts handed over his command to Kitchener and returned to Britain at the end of November 1900.
the lodge in the near future. In October 1902 Kitchener was posted to India and appointed Commander in Chief of the Army, where he remained from 1902 to 1909. Now well experienced as a Mason, he was almost immediately appointed District Grand Master of the Punjab. He began to practise what was by now a familiar pattern of active interest in Masonic affairs. In 1903 he joined Himalayan Brotherhood Lodge, no. 459 in Simla. In the same year he become the Senior Founder Member of Kitchener Lodge no. 2998, the first of the many Lodges to which he was to give his name. In 1907 he attended a meeting of the namesake of his mother Lodge Concordia no. 3102 in Calcutta and assisted at the initiation, passing and raising on the same day of His Majesty Habibullah Khan, Amir of Afghanistan. 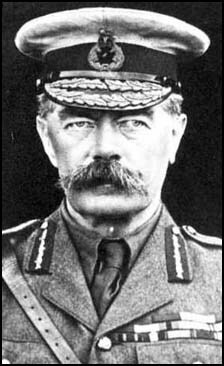 Brethren, we were all taken aback yesterday when the news arrived of the loss of our distinguished Brother and that great Englishman, Lord Kitchener . . . as Englishmen we owe him a debt of gratitude which can never be repaid; and England will hold his name in honour from now onwards, after all of us have passed away, into the remotest generations in the future history of our Country . . .Lord Kitchener sleeps in the proudest grave in which he could have been laid: in the sea, in one of our English ships, surrounded and supported by those who have so nobly upheld the name of England. . .
Grand Lodge expresses its profound sorrow at the tragic and untimely death of R W Bro Field Marshall Earl Kitchener of Khartoum and Aspall . . . The Craft mourns the loss of a distinguished Masonic administrator. . . (and) will ever hold in grateful regard and admiring reverence the fearless soldier and tireless organiser..
Fitting words to a great soldier and a great Freemason.